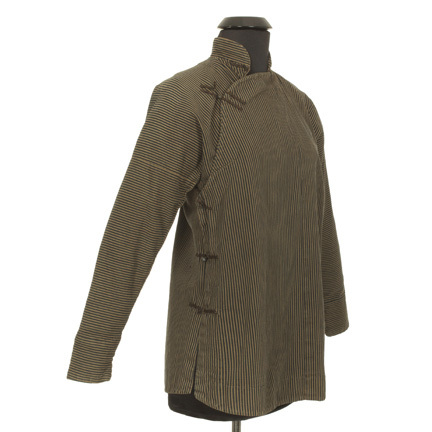 This woman's tunic was worn by the character "Jade," portrayed by legendary actress Katherine Hepburn, in the 1944 motion picture, "The Dragon Seed." 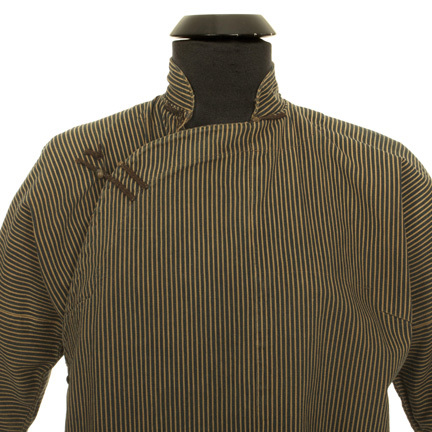 The striped Asian style tunic has the name "Katherine Hepburn" handwritten on the collar label, slightly faded but clearly visible. 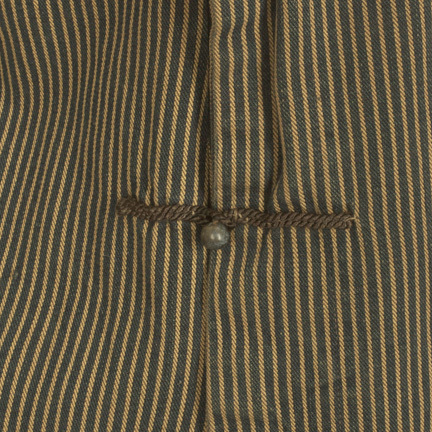 The tunic fastens at the side with bead and eyelet closures. 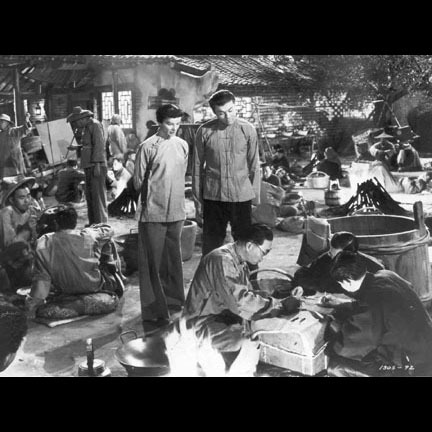 "Dragon Seed," featuring Katherine Hepburn, Walter Huston, and Aline, MacMahon, was nominated for two Academy Awards in 1945. 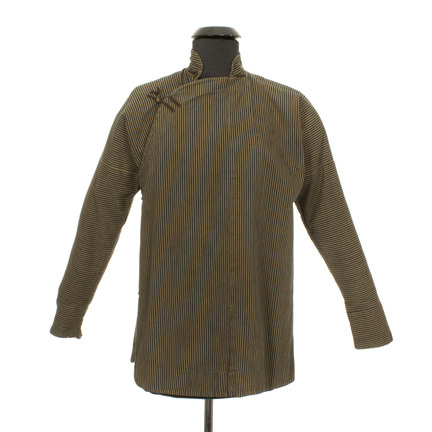 The tunic was made for production but ultimately not seen on screen. 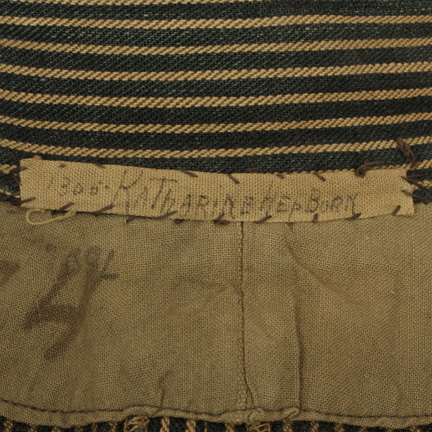 Authentic Katherine Hepburn pieces are extremely rare, and this unusual piece from one of the actress' earlier roles will make an impressive addition to any collection of vintage Hollywood memorabilia. 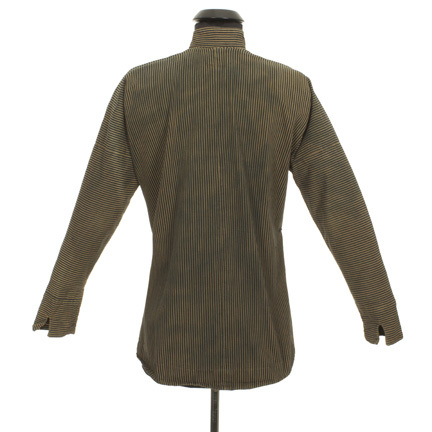 The garment is in very good condition with a few beads missing due to age. Accompanied by a letter of authenticity from the costume house. Presented by The Golden Closet, your premier source for iconic screen used movie wardrobe, props, and music entertainment memorabilia.